I'm having so much fun giving my bar cart an Independence Day makeover! I'll show you those photos next week. 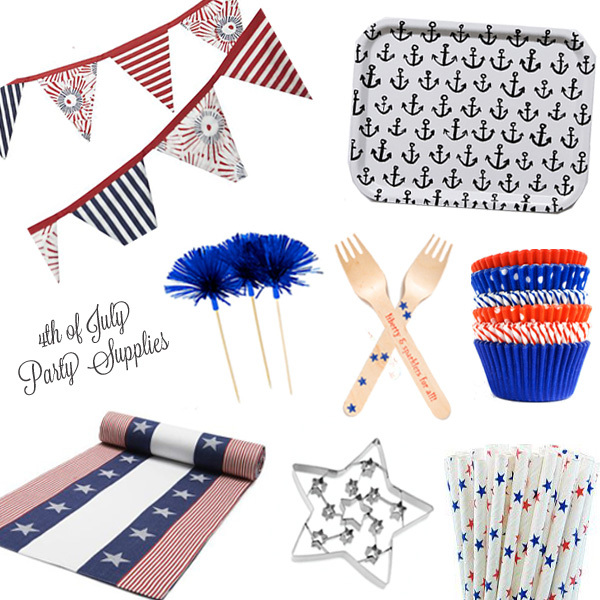 Today I'm sharing some of the red, white & blue party supplies that I've come across in my search. Is it just me, or does there seem to be a whole lot of tackiness available for this particular holiday? Yikes. Here are some options that don't light up, glow in the dark, or otherwise offend the senses.